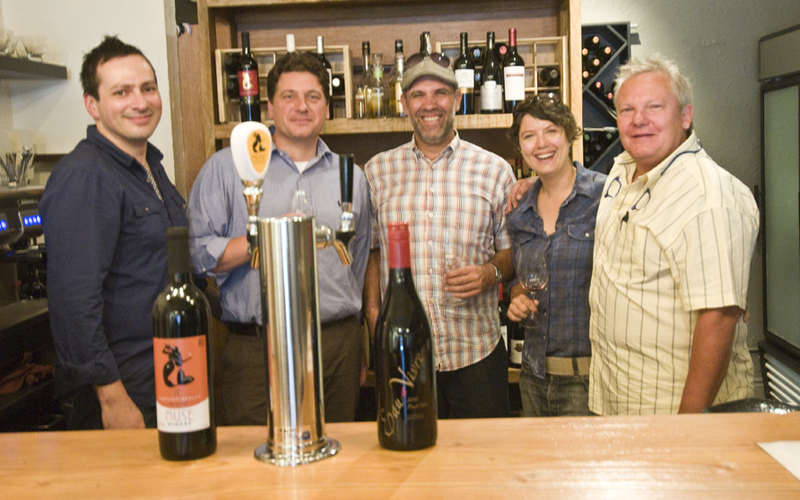 Ça Va Bistro, located in Fernwood Village, has joined the wine-on-tap revolution and is the first to introduce the FreshTAP system to Victoria. Similar to draught beer, the wine is put into FreshTAP 19.5 liter stainless-steel kegs at the winery, kept under an inert gas (nitrogen) and then delivered to restaurants. No bottles, corks or labels. Less fuel is used to deliver the wine and the wine is always fresh (no more oxidized wines). With fewer costs, the savings can be passed on to restaurants and to consumers. It’s a win both eco-wise and cost-wise. Found at both fine and casual restaurants, the wine-on-tap trend is quickly spreading across North America. Next time you’re in Fernwood Village, stop by Ca Va for a glass. Consider it the next step in the evolution of wines by the glass.